The former head of China Construction Bank Corp., Zhang Enzhao, was jailed for 15 years on Friday after pleading guilty to taking bribes to arrange loans, his lawyer said. The verdict was handed down by a court in Beijing, the latest in a long string of graft cases that have embroiled Chinese lenders due to the cosy ties that have linked bankers, businessmen and government officials. Zhang abruptly resigned in June 2005 as chairman of Construction Bank, which in October last year became the first of China's big four state-owned lenders to sell shares to the public abroad. Its Hong Kong listing raised $9.2 billion. 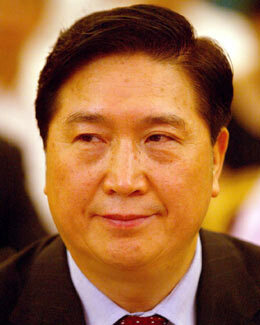 Prosecutors accused Zhang of accepting 4.18 million yuan ($530,000) in bribes. In a court appearance in September, he pleaded guilty but said the amount involved was smaller, the Beijing News reported at the time. A Caijing Magainze report said Zhang, 59, was calm and nodded when the verdict was read in the court. Lawyer Gao Zicheng told Reuters Zhang would serve his sentence at Qincheng prison, a jail outside the capital. Gao said he thought the sentence was too harsh. He said he would discuss with Zhang on Monday whether to lodge an appeal. But the official Xinhua news agency quoted the court as saying the jail term could have been longer had Zhang not confessed some of his "undiscovered" crimes to investigators and the bribe money not been recovered. China's banking system has undergone profound changes in recent years, but remains plagued by weaknesses ranging from poor levels of corporate governance to inadequate risk controls. The banking regulator said in October that the financial sector had been hit by 724 cases of bank fraud in the first nine months of the year, of which 194 involved at least 1 million yuan. Chinese banks have been trying to offer incentives to employees to ward off the temptation for fraud. Construction Bank said in a statement on Thursday that it was offering cash rewards of between 100,000 and 300,000 yuan to star employees to hold them up as models for the organisation.